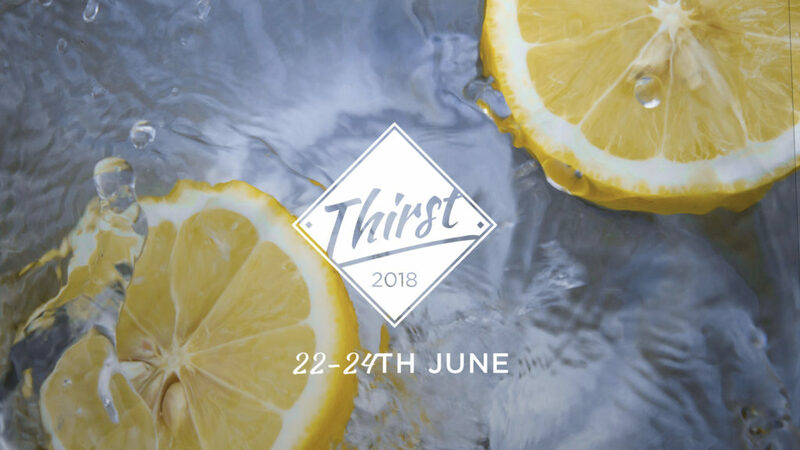 If you’ve been around Trinity Central for any length of time, you’ll have heard us talking about Thirst, usually with quite a lot of excitement. And maybe you’ve been wondering, just what is it that we’re getting so excited about? Well, here’s a little introduction to Thirst that’ll hopefully answer that question, and get you excited too. Thirst is a weekend where everyone who is part of the Trinity Central family goes away together. For the past 4 years we’ve booked Camp Sunrise on the Sunshine Coast and spent two nights and two days away from everyday life. We eat together, we play together, we worship and learn together and enjoy the beautiful surroundings in stunning summer weather [we guarantee only that there will be weather, and remind you that “stunning” can mean lots of things, really]. Thirst is an opportunity for extended time in God’s presence, together. Each day starts off with morning prayer – sometimes outside enjoying the sunrise. We have times of wonderful worship and digging into God’s word, with lots of time given for prayer and ministry. Not having to run off to get lunch or prepare for the next working week, gives us time to reflect on and respond to all that we encounter, to process it personally and corporately. During our worship times at Thirst we’ve seen some amazing things. God has spoken huge promises to Trinity Central each year. People have experienced freedom in worship – with space to dance and respond freely to the Spirit. And every year we’ve had the joy of baptisms and salvations. Many people point to Thirst as being a pivotal point in their walk with God, of times of breakthrough and healing. Jeremy & Ann Simpkins: Ann and Jeremy have been a strong and loving support to Trinity Central and the leadership team since the church began. Jeremy leads the ChristCentral apostolic sphere to which Trinity Central belongs, and which itself is a part of the larger New Frontiers family. Terry and Wendy Virgo: Wendy and Terry are both much beloved authors and speakers. 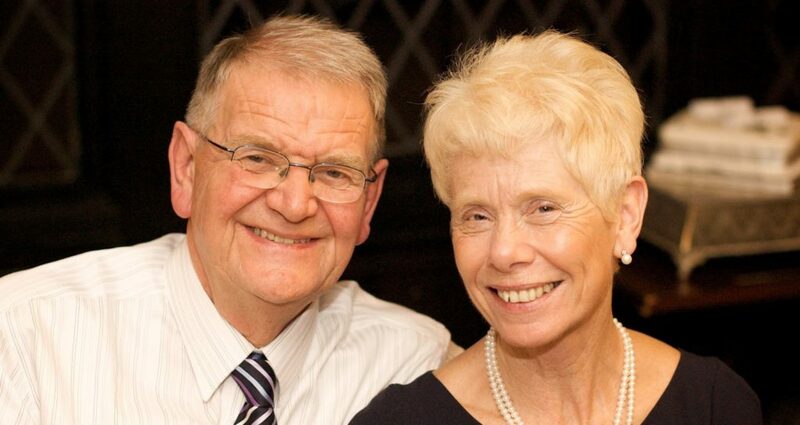 Terry is known internationally as the founder of New Frontiers, the family of churches to which Trinity Central belongs. He brings to us a wealth of wisdom, a passion to see the church renewed, and a life proclaiming the glorious grace of God. We’re so excited to see what the men and women of great faith and large hearts are going to bring to us at Thirst! It’s also a weekend as extended family together. Parents can let their kids run free while they sit back and relax, chatting with someone they don’t normally get to see often. Where everyone of different ages and life circumstances just hangs out together. You can get to know people on a deeper, more personal level as you share a morning coffee after breakfast, or take a walk down to the beach together. Or meet someone new you’ve not had chance to get to know yet. There’s time and space to share and open up, without the rush and bustle of a Sunday morning, where there’s always the next distraction or something else to get to. It’s a time of forging new friendships and deepening old ones. You may come to Thirst knowing only one or two people, but you’ll leave with many new and stronger friendships. Shared memories give a platform for those relationships to continue growing long after Thirst has ended. Thirst is great for getting deeper with God – but don’t think it’s just about long prayer sessions and Bible studies. Thirst is amazingly good fun. During the afternoon there’s free time where you can enjoy the swimming pool, or take a dip in the ocean if you prefer. You can go for a walk or just chill out at your cabin. You can choose to take part in activities such as the Amazing (Not-a-) Race, or just spectate and encourage others instead. Finally, theTrinity Central Talent Show is a must see – be prepared to laugh until your sides hurt!